Dynamic balancing (typically to G1). 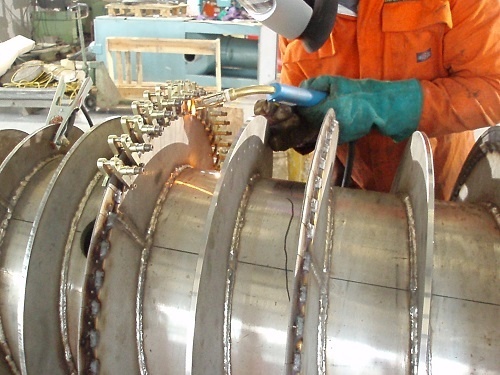 As well as our standard repair enhancement procedures in 2006 we were contracted to complete a large project for a global minerals company to refurbish and upgrade 4 large decanter type centrifuges of the old international combustion type “Dynocone” design for their new refinery. This involved the design and manufacture of 4 new scrolls (conveyer screws) and overhead motor mounting frames.